A report from Amnesty International has turned the focus on alleged kidnapping and torture in Egypt of hundreds of students, political activists, protesters and even young teenagers during the past three years. A demonstration in Rome organised by the charity sought to highlight how people vanished without trace after security forces raided their homes. Most of them, it is claimed are supporters of former Muslim Brotherhood president Mohamed Morsi. “We know that on average three or four people disappear every day in Egypt. They vanish. Their family knows nothing about them, forced disappearances, held, torture practised in jails,” opined Riccardo Noury a spokesman for the charity. In some cases, Egyptian police have been prosecuted. Last Tuesday, six officers were sentenced to between three to seven years in jail for torturing and killing a prisoner. The report is based on the fate of 17 kidnapped and tortured people who were denied access to their lawyers and families. It states many of those abducted have been held for months at a time. Often it alleges they have been kept blindfolded and handcuffed for the entire period. Some, says Amnesty International have been beaten, given electric shocks and suspended by their limbs. In March the EU criticised Egypt for reports about the country’s systemic human rights abuses. 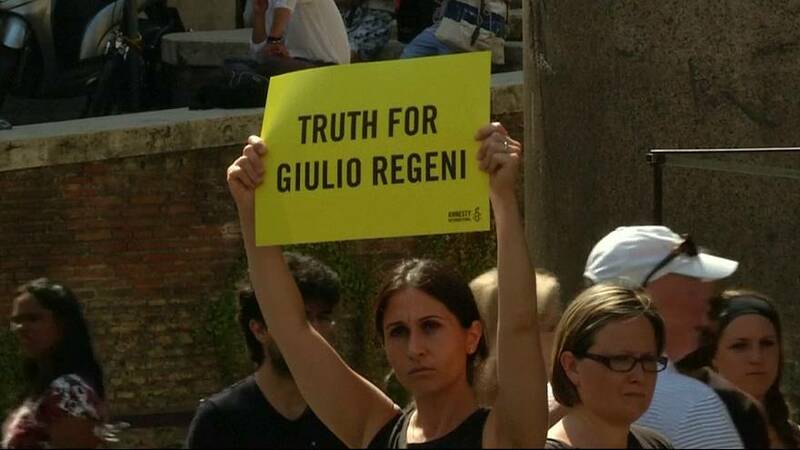 An EU parliament resolution condemned the suspected torture and murder of the Italian researcher Giulio Regeni by Egyptian security forces. He had been researching Egypt’s independent trade unions and was found dead in Cairo in February, his body bearing signs of torture. Then Egypt’s foreign ministry rejected the European Parliament resolution. The government has denied any kidnappings have taken place while the foreign ministry said in a statement Amnesty International reports are biased and politically-motivated. It accuses Amnesty of spreading false rumours and supporting terrorist groups.